Minister of State for Home Kiren Rijiju and Minister of State for External Affairs M.J. Akbar gave such assurances to a visiting Bangladeshi leader. India has been in close touch with Bangladesh over the National Register of Citizens (NRC) update issue in Assam and Dhaka is of the view that it is an internal matter of India, a senior official said here on Thursday. “We have been in very close touch with the government of Bangladesh both prior to and following the issuance of the draft NRC,” External Affairs Ministry spokesperson Raveesh Kumar said at a media briefing here. “At all points, we have repeatedly assured the government of Bangladesh that it is still a draft list prepared under the orders of the Supreme Court and the process of identification of citizens of Assam is still underway,” Kumar said. 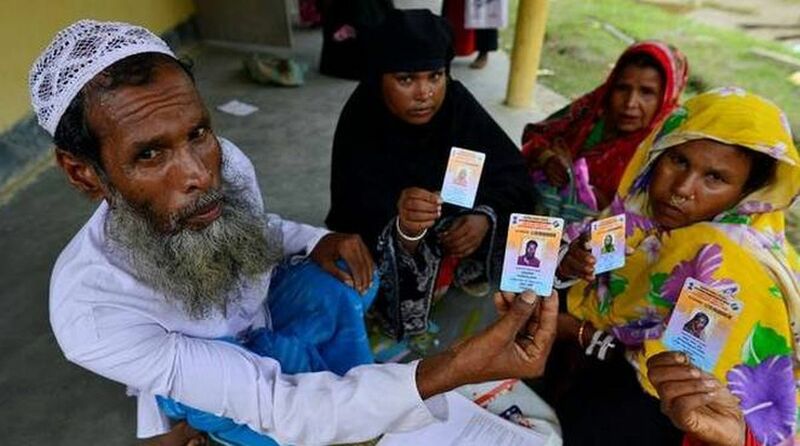 As many as four million people, mainly illegal infiltrators from Bangladesh, did not find their names in the final draft of the Assam NRC which was released last month. There has been disquiet in some quarters following reports about India giving assurances to Bangladesh regarding the NRC process. According to one media report, Minister of State for Home Kiren Rijiju and Minister of State for External Affairs M.J. Akbar gave such assurances to a visiting Bangladeshi leader. Al-Hajj Sayed Nazi, leader of the Bangladesh Tariqat Federation, a religious party allied with Bangladesh’s ruling alliance, said that he has been assured by the Narendra Modi government that no one will be deported. Following this, former Assam Chief Minister and AGP leader Prafulla Mahanta, who as the then President of the All Assam Students Union (AASU) spearheaded the historic Assam Movement against illegal infiltration, rejected the contention that the problem of Bangladeshis is India’s internal matter and that there is no reason for Bangladesh to be concerned about. It is unacceptable, he said. “All earlier governments as well as all parties have agreed that, according to the Assam Accord (of 1985), all those Bangladeshis who have infiltrated into India after March 24, 1971, should be deported,” Mahanta told the media here on Wednesday. He said that the NRC is the first step that will make the process of detecting foreigners easy and this will help in the full implementation of the Assam Accord.